Are you wondering about skip bins for hire and what these services can actually do for you? It's not always easy managing all your rubbish and there are times when its just too much for your trash bin to handle. You may have a building project in mind or perhaps a bit of spring cleaning? In any case, rubbish can pile up fast and before you know it you've got too much clutter and not enough space in the trash to put it in. This is where a skip bin hire in Adelaide comes in! 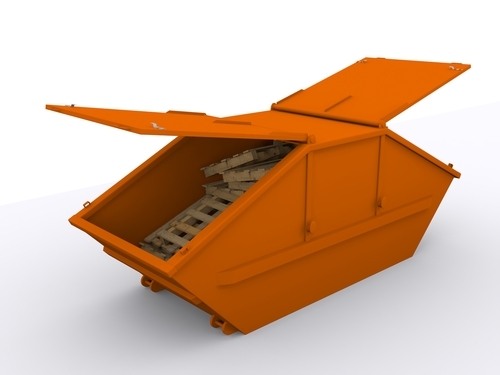 Skip bins for hire - how does it work? Indeed a cheap skip hire may just be the perfect solution for anyone dealing with significant amount of rubbish on an occasional basis. So how does it actually work? Well simply put, you rent a bin; a heavy duty industrial container which you can then use to store all the rubbish that you're looking to throw way. The company renting out these bins collect them and hauls it away so you don't have to worry about a thing. 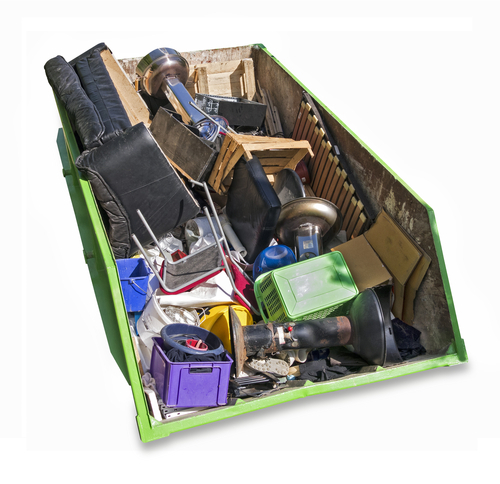 Dealing with skip bins for hire is relatively easy. Simply give your chosen company a call and provide them with details such as delivery location, what you'll be using the skip bin for and how long you'll be renting it. Your service provider will then come in to collect it and transports your rubbish to any of the number of waste management facilities in the country for proper disposal. Needless to say, hiring a skip bin is convenient and saves you the trouble of having to properly dispose of all the clutter yourself. The size of the skip bin that you're renting; the smallest ones are perfect for minor home improvement projects. If you're planning some major renovations, large industrial-sized versions are the best choice. Do also consider the space requirements for delivering your skip bin. Keep in mind that you'll have to obtain permits from local authorities if you're going to place a mini skip at the side of the road. You can only put certain types of rubbish in your bin. Generally, you are not allowed to put in any hazardous or flammable materials in a skip bin. Make sure that you clear everything with your service provider or they may refuse to haul away the bin until you remove the materials in question. Looking to get started? Call Bins Adelaide today on 0426 570 035 and check out some of the best deals in skip bins for hire. Why Hire a Bin in Adelaide? Are you looking to hire a bin in Adelaide but not quite sure if its well worth spending your hard-earned money on? Why would you pay just to have something that you can put all your rubbish on? These are perfectly good questions and you might be wondering about it yourself if you've never had to deal with such bins in the past. Now a mini skip bin can prove handy in a number of situations. Doing a skip bin hire in SA is more common than most people think. For example, say you are relocating to a new home or place of business - you'll need additional storage for everything that you're looking to throw out which is probably a lot more than your regular trash bin can handle. Skip waste bins are perfect for doing just that! Whether you are having your home renovated or simply clearing out your new place, your decision to hire a bin in Adelaide can certainly prove useful. If you're looking to do anything that is sure to result in a large amount of rubbish then the need for such bins is definitely warranted. You can expect reputable companies to deliver your skip at your convenience providing you with all the storage space you need for all your rubbish that you'll be throwing out.. When you're done, the skip bin is collected and directed to the nearest waste management facility for proper disposal. Of course waste management isn't really that hard when you really think about it. Some people insist on handling the matter themselves. However when you're dealing with significant amounts of waste and little time to actually do anything about it, hiring a skip bin might just be the answer! Looking to get started? Call Bins Adelaide today on 0426 570 035 and get the most out of your decision to hire a bin in Adelaide! Are you having trouble keeping on top of your waste management needs and thinking of hiring a professional service provider for rubbish removal in Adelaide? It's not only convenient but you'd be helping the environment a great deal by making sure that most of your garbage gets processed for recycling. Over the years we've become more conscious about all the rubbish that we've been producing and how most of them aren't always recycled nor disposed of in the proper manner. Unfortunately not too many people have the time and energy to tackle proper waste management due to a stressful and fast-paced lifestyle. If that sounds a lot like you then bringing rubbish removal services into the scene can certainly be the answer. Firms that deal with rubbish removal are bound by law to practice proper waste disposal and have the rubbish that they hauled sorted out in one of the number of waste processing facilities in the country. This of course includes recycling which reduces the demand for new materials and pave the way towards a more sustainable and environment-friendly future. What can professional rubbish removal in Adelaide do for you? You can call on a professional service provider for rubbish removal in Adelaide to come to your home and haul away all your rubbish big or small. Among the invaluable services provided by such businesses is a big bin hire. This involves renting out large industrial skip bins that provide enough storage for all the rubbish that you're looking to get rid of. These bins are a popular sight in construction sites and home renovation projects or just about any situation that results in you having to handle significant amounts of rubbish. Looking to get started? Call Bins Adelaide today on 0426 570 035! Entrust your waste management needs to a proven and reputable expert when it comes to rubbish removal in Adelaide! Hiring mini skip bins - is it worth it? Are you thinking of hiring a skip bin in Lonsdale? Renting large industrial sized skip bins might seem like a strange idea for many people. Of course if you've ever had to deal with huge amounts of rubbish in the past then you'd know that renting mini skip bins isn't strange at all. A lot of people make good use of them and not just in construction or commercial applications but for residential purposes as well wherein such bins often prove highly advantageous. 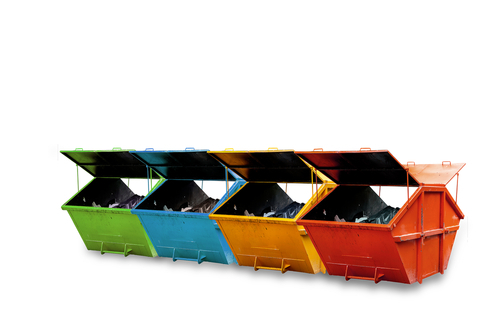 So what exactly are the advantages that you can expect out of a mini skip bin hire? Doing a mini skip bin hire can save you time, money and effort. Waste management isn't always easy and in many cases it can be a costly and tedious experience. Imagine having to make numerous trips to the landfill just to clear out all the rubbish in your property not to mention the task of having to collect everything on your own. Hiring a mini skip makes it all more convenient and cost-effective. You'll be provided a large bin for all the waste you're looking to throw out and they haul away everything for you so that you need not worry about a thing. How convenient is that? Indeed skip bins in Lonsdale can be beneficial to the environment. Proper waste disposal is important and doing a bin hire means having professionals handle all your rubbish so that everything ends up where it should be. You can expect most of your rubbish to be reused and recycled with rest disposed of in the safest way possible. Every bit helps when it comes to promoting a clean and more sustainable future. So there you have it - a few of the notable advantages when it comes to hiring a skip bin! Ready to get started? Get in touch with Bins Adelaide today on 0426 570 035 and discuss your needs to a trusted and reputable service provider when it comes to hiring skip bins in Lonsdale!